Many times I have been asked if it is ok to decorate a house for the Holidays when it is listed for sale. My answer is always yes, BUT it has to be ‘tastefully’ done. This isn’t the time to get out the things your kids made in kindergarten or the hideous ornament your sweet dear old Aunt Edna gave you (the one that you always hated but now that she is dearly departed you feel obligated to put out). My motto is less is more and keep it simple. After all you wouldn’t want to put up a 7 ft tree when you have low ceiling height or a large tree in a small room . This will only draw attention to all the shortcomings of your property.Remember not everyone shares your religious beliefs or decorating tastes. It is best to keep it simple and as neutral as possible. On occasion I have had to remove some “What were you thinking” items. 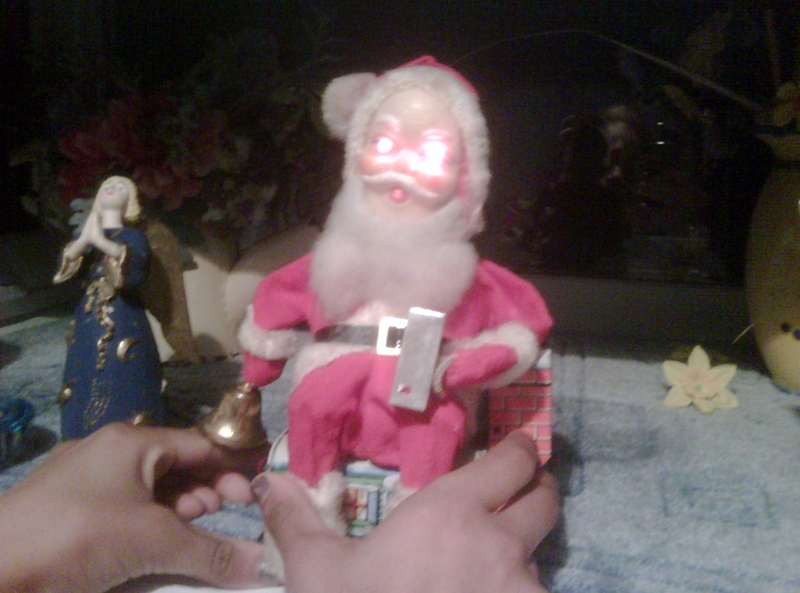 This was a Santa that was obviously possessed! It wasn’t just ugly it really scared the kids. 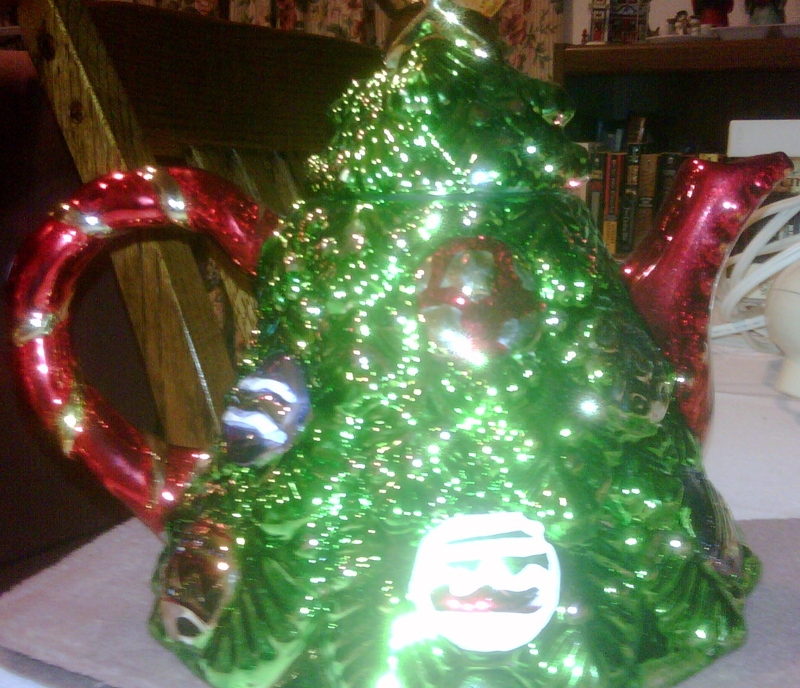 Next up was the Christmas Tree Tea Pot – Wow I would love a spot of tea out of that! You know I’m not really not sure what the heck this next one was. 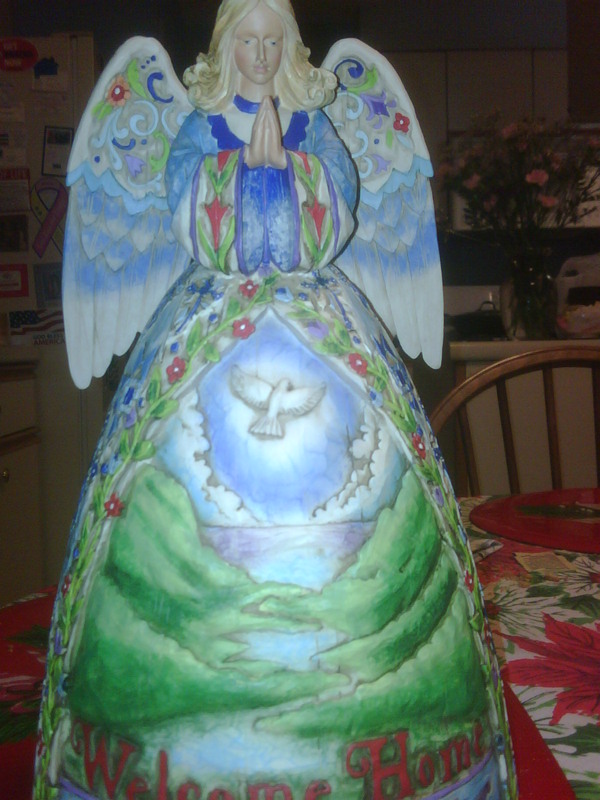 I guess it’s an Angel – but who knows – just bury it. I would love to see your ‘Ugly’ Ornaments – come on you know you have them! Omg! I just donated a crate load to good will! I’m sure I have more! I just donated a boat load of these kinds of goodies to Good Will in hopes that others will enjoy them! One person’s ugly is another’s beauty! Merry Christmas!